In his first meeting with ambassadors accredited to the Holy See, Pope Francis’ message focused on the poor. This is typical of him. «The heart of his message – explains Virginia Bonard, a journalist who works for the Bishops’ Conference of Argentina – is to shed light on the poor and on marginalized people.» In front of the ambassadors, the Pope also raised other issues. For example, he stated that there is a need to intensify interreligious dialogue (especially with Islam) and he underlined that his role is that of «pontifex»– Latin for bridge builder. How Pope Francis will fit all these pieces into place remains to be seen. 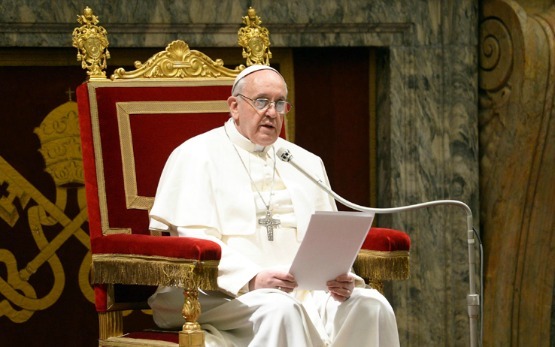 Right after Easter, Pope Francis will have to make appointments to fill important posts. Foremost is the appointment of the new Secretary of State. Tarcisio Bertone has been confirmed at this post donec aliter provideatur, «until otherwise provided». It is nevertheless clear that there will be a change of Secretary of State: Bertone is 78, three years beyond retirement age. He stayed at his post because Benedict XVI trusted him and did not want to lose one of his most loyal collaborators. Tarcisio Bertone has been criticized for several reasons. Most poignantly, for not being a diplomat. Paradoxically, this is one of the reasons why Benedict XVI chose him as Secretary of State. Bertone was not part of that «circle of diplomats» who rose through the ranks under the wing of Angelo Sodano, who led the Secretariat of State for almost 13 years. The heaviest attacks to Benedict XVI’s pontificate came from that circle of diplomats. Benedict XVI was guilty – they used to say – of lowering the profile of their work, taking Vatican diplomacy in a different direction. Trying to understand how the conclave played out can help us to understanding how Pope Francis will decide on his first appointments. It will be a difficult governing test. According to initial reconstructions, Bergoglio did not enter the conclave with a considerable block of votes. On the other hand, no one had a strong candidacy: Marc Ouellet, Prefect of the Congregation for Bishops, never got over 20 votes; Timothy Dolan, archbishop of New York, got just a few more; Angelo Scola, archbishop of Milan, had a maximum that – according to sources – ranged from 30 to 37 votes. Odilo Pedro Scherer, archbishop of Sao Paulo, never had more than 20 votes. To undermine his candidacy, a rumor was circulated that he had the support of Cardinal Giovan Battista Re, Prefect Emeritus of the Congregation for Bishops and Dean of the Conclave. Re is a good friend of Cardinal Sodano (even if they drew apart towards the end of John Paul II’s pontificate). This way, Bergoglio’s candidacy made inroads, and votes for him doubled from ballot to ballot. By the third ballot, before the lunch break in the second day of the conclave, it is reported that Bergoglio once again had the voting block that had backed him in the 2005 conclave. We are talking about nearly 30 votes, starting with that of Cardinal Daneels from Belgium. After the lunch break, Bergoglio’s candidacy took off. At the fourth ballot, Bergoglio got 76 votes, one short of the required two thirds to be elected. At that time, the cardinals of the Curia were still not voting for him, and were divided on which strategy to follow. It is rumored that Cardinal Giuseppe Bertello, head of the Vatican City State administration, convinced part of the Italian curiali to switch their votes to the already certain-to-win Bergoglio. Pope Francis was thus elected with a very large majority, getting from 90 to 100 votes (depending on the source). Bertello hopes that his effort will be rewarded with his appointment as Secretary of State. Taking the post of Secretary of State would be sort of a Bertello’s revenge on Bertone, since Bertone did not appoint him Prefect of the Congregation for the Evangelization of Peoples. For this post, Bertone appointed Fernando Filoni, then deputy at the Secretariat of State. Bertone and Filoni were not in the best of terms, so the promoveatur ut amoveatur (“promote to remove”) helped Bertone to dispense with his deputy. At the time, Filoni himself was considered a possible contender for the position of Secretary of State. Perhaps Pope Francis will go beyond the dynamics of the conclave. It is rumored that an Italian nuncio will take over Bertone’s position. The choice of an Italian nuncio is coherent with the need for a change of narrative for the Vatican: a nuncio is more likely to be seen as not stained by the recent scandals that have hit the Roman Curia. If this were to be, Lorenzo Baldisseri, the secretary of the Conclave, would be the one chosen. Once elected, Pope Francis – following an ancient tradition – gave him his red hat: Baldisseri will be created cardinal at the next consistory. Baldisseri is a long-term diplomat. Among his most remarkable achievements is the Concordate (Church-State agreement) signed with Brazil at the time he was serving as papal nuncio in Brasilia. Now he is Secretary of the Congregation for Bishops, and will remain as such until his creation as cardinal. Then, he will probably benefit from a career jump. Beyond the initial enthusiasm, the Curia is still on a wait-and-see mode regarding how Pope Francis will govern. So far we know that Pope Francis prefers the lower-profile title of bishop of Rome, and that he has made all his speeches in Italian, even the one in front of the ambassadors (by tradition, the language of diplomacy is French). When cardinals chose Pope Francis, they were certainly looking for a change in narrative. 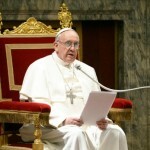 The Pope’s attention to the poor, his plain oratory, his “Argentinian” modus operandi that leads him to embrace everyone and to approach the crowds to greet them, disregarding security considerations, has changed the attitude of the media to the Papacy: currently, all headlines are positive, not much is said about scandals, and the Church is not even attacked for her stand on bioethics and moral issues. Many maintain that the honeymoon will soon end, since the Pope will have to take a stand. It is also true that Bergoglio has never favored taking an open stand on any given position, preferring a person to person dialogue. This style is perhaps not fitting for a Pope, called to take strong position to defend principles in the international arena. This is why Vatican officials are worried. The appointment of the Secretary of State will be a litmus test. Vatican officials would be relieved if the Pope would opt for continuity, promoting the current Secretary for Relations with States, Dominique Mamberti, to the post of Secretary of State, and creating him cardinal. Mamberti would be backed by the old diplomatic guard (the skilled diplomat Jean Louis Tauran is one of his mentors). Mamberti did a good job during Benedict XVI’s pontificate as well, and has the capacity to manage the Secretariat of State. In any case, the choice of Secretary of State will signal if Pope Francis’ pontificate will favor continuity, or if truly the Pope who has come from the ends of the earth is set to take on a different path. We shall soon see if Pope Francis will be just a world parish priest, or a Pope with a specific diplomatic doctrine.